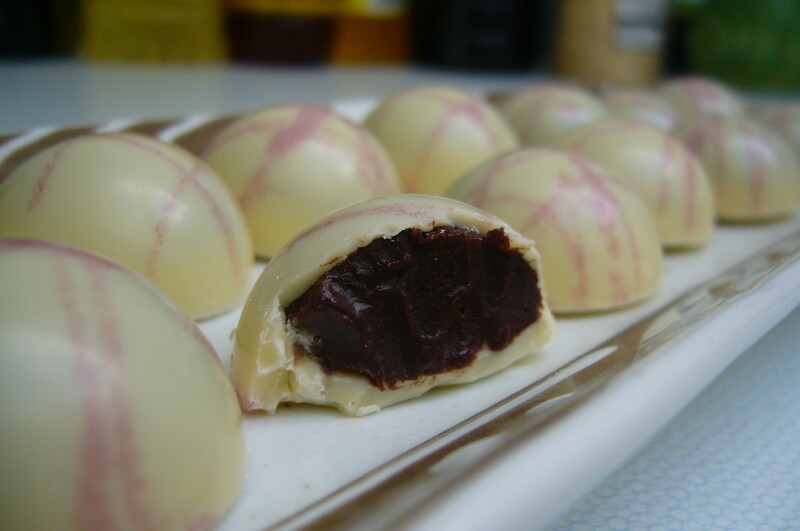 I’ve been daydreaming about eating one of these for a while… A white chocolate shell with a dark raspberry centre. Mm, the tangy dark raspberry centre is well balanced by the sweet white chocolate. I enjoyed one (or two, or three…) of these for elevenses. Yum. Oh wow! When is your shop opening? I’ll be the first in Line! not if i get there first joelgoldberg! these look AMAZING. These were really well-balanced and I don’t even like white chocolate! But I felt that it soothed the richness of the raspberry ganache. And they’re easy on the eyes too!